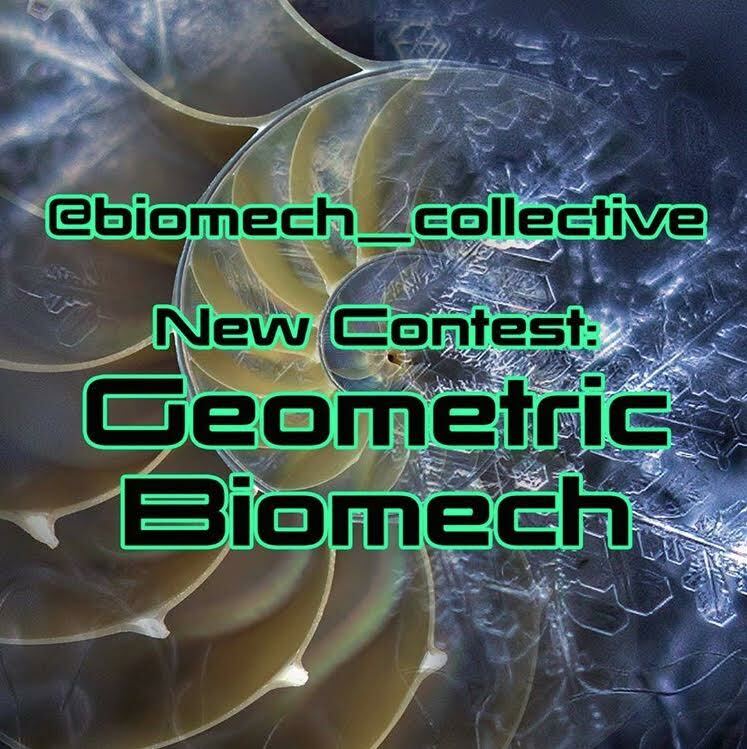 For this next contest, we are exploring geometric motifs in a biotech context. Geometry: It's everywhere, hinting at the codes of creation! There are countless creative ways that geometry could be combined with biomech, and we are curious to see how you all do it. This is a chance to mix and match tattoo styles in ways never attempted! Imagine an organic environment peeling away to reveal complex and flawless otherworldly mathematical forms. Robotic elements with geometric motifs mapped over their surfaces... where else can this go?